Changes in the seasons can have a significant impact on your grow room. For a healthy cannabis farm, it could mean the end. The heat of the summer and the cold of the winter are the adverse conditions that are extremely hard to cope up for most plants. Based on where you live, you’re likely going to need a grow room heater to cope up with the changes in temperature. Grow room heaters offer a cheap way to warm your grow room. Indoor plants need an average temperature of 24 degrees Celsius. In the case of cannabis, the temperature depends on the stage of growth. Fortunately, indoor growing helps you better control the environmental conditions to ensure your plants to thrive. The thing, however, is that finding the right heater can get confusing since you have so many choices. It’s difficult to find which heater would work best for the size of your grow tent or room. There are also various types of heaters out there. All these make it hard to make a choice on which heater to buy. This review article intends to help you as it covers essential bits of information about grow room heaters. 4.1 What is the ideal heater to use for a grow room? 4.2 How do you best warm a grow tent? 4.3 How do I heat a room that’s larger than average or if it heat is from a separate building? You don’t want to start an indoor farm with the prospect of losing it at the onset of winter, right? All because you didn’t anticipate that your grow room could get too cold. But don’t worry because a heater can help you counter the cold and ensure you won’t lose your weeds. On that note, here are some critical points about the benefits of investing in a grow room heater. Heaters are great for warming your room during temperature fluctuations, which are sometimes unpredictable. With a standby heater, you can quickly overcome any temperature challenges when you need to. There are times when grow lights don’t emit enough heat to keep the room warm. In that case, you can further warm the place using a heater. Grow room heaters are the perfect tools to keep a constant temperature at around 80 to 85 degrees Fahrenheit using LED. Heaters are required if there is no heat coming into the grow room. If you’re the grow area is a closed room, in an area stationed away from the furnace or in a northern climate, a heater would be a great help. It is a typical situation when you buy the wrong heater for your indoor garden. It often happens to people who don’t take the time to find out what to look for beforehand. Even if it is your first time to buy a grow heater, that shouldn’t justify purchasing a substandard product. To help you with that, here are some of the features to look for in your grow room heater. Your grow tent could be small or big and that matters to the kind of heater you should buy. Most heaters distribute heat throughout the entire room. However, it is essential to consider if your choice of a heater can truly warm the whole room before you settle on anything. When you choose a heater, the one with temperature settings is the most convenient. It’s the last thing you want to guess how to operate a heater. On that note, go for the product with the ideal temperature regulation feature, preferably a digital one. Power is rated in watts, which is necessary when considering a grow heater. It’s important to buy a heater capable of generating enough heat for your grow room. However, you don’t want a heater with abnormal power consumption that ends up increasing your energy bills. Most products include an instruction manual. However, good heaters must also have safety features, and that’s what you need for your grow heater. Look for those that have an auto shut down and off to avoid overheating. It’s also ideal to choose one where you can set it to shut down at a specified time. How does the heater provide a rise in temperature? Is it through the use of a fan for circulating air? Is the use of oil to give off stationary heat? Before you pick and buy your heater, it’s crucial for you to consider the type of heat or method of heating of the product. Humidity – If you’re not careful, your heater can strip away all the humidity in the grow room quickly. Power Usage – Take note of the device’s power usage and to compensate for extra power to avoid blowing your circuits. Orange Glow – The orange glow is an indicator. When using you grow room heater, make sure that your device glows when it turns on. When choosing the best heater, it’s vital to concentrate on looking for practical solutions. In resolving your needs for a heating solution, there are many different types to choose from. Each type has subtle differences and provides benefits that can help address your heating needs. Two of the most common types of heaters are ceramic and oil-filled. Ceramic Heater – This type of heater uses ceramic heat stone to provide heat. Usually, this heater also features a fan. Ceramic heaters are ideal for use in small rooms. Oil-Filled – This type uses oil to provide heat. It can take a while before it heats up but the benefit is it offers constant heat throughout the room. It’s the best to use for medium to large rooms. If you are looking for the top heaters for your grow tents, this article gives you the top picks. Before using a heater, remember that it isn’t good to place it inside the tent. 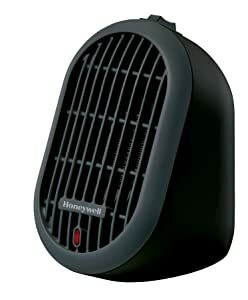 This Honeywell uber ceramic heater is a compact unit capable of expelling plenty of heat. It features Cool Touch Settings with 2 heat settings and thermostat. Its power usage is at 1500 watts and has a 3-year limited warranty. Honeywell’s heater provides powerful heating ideal for small spaces and used for shorter periods. This is a ceramic heater featured with adjustable thermostat. It allows easy adjustment of temperature controls with a fan that has a two-speed setting. When set in high-speed, the power is 1500 watts and capable of quickly warming a small grow tent or room. However, don’t use it in an area exceeding 100 sq. ft. or it won’t be able to warm the whole place evenly. Ecoheater is a 55-watt tube heater ideal to use in sheds and greenhouse. It’s efficient and capable of quickly warming a small grow room or grow tent. It’s the type of grow tent heaters usually found in the UK and Europe. It’s currently not available in North America. Of course, there are other brands out there to offer you the ability to mount your heater on walls, plus a number of other features. This Vornado heater is known to be one of the heaters available today capable of quickly warming a small room. The heater features three power settings – 750W, 1125W, and 1500W – to regulate the heat output. If the heater is tipped over, it automatically shuts off. One of the notable features of the Vornado heater is the fact that it is cool to the touch. It works by circulating the air within a vortex circle. In order to produce constant temperature, the device moves the heat towards the walls. It’s not ideal for a small grow tent, but it’s great for a small grow room. If you’re looking for durable heaters perfect for use in grow rooms, here are some of the best that the market has to offer you. These heaters will help keep your grow tent warm for 24/7 if you need to. They are particularly significant to be used in smaller rooms and room bigger than 10×10 to 15×20 square feet. Here are the top heaters perfect for your grow tent. DeLonghi’s Safeheat Oil-Filled Heater is basic, but it boasts of 1500 watts power. EW7707CM is wall-mounted, allowing you to warm your grow tent. The heater features a thermostat dial for easy control along with three different settings. It allows you to choose from varying types of heat as you’d like for your cannabis. To ensure your plants won’t be overheated, it also has an auto shutoff feature. If you’re on a budget, this grow tent heater is a truly an excellent choice. It’s perfect for use in medium to large-sized rooms and grow tents. Using DeLonghi EW7707CM gives your grow tent a nice coast heat that helps to regulate the temperature for your plants. The DeLonghi is an oil filled radiator heater with many features to make it easy to warm up the temperature in your grow tent. Some of the key features of DeLonghi EW7507EB include the digital display and the temperature setting controls. With these features, it’s easy for you to set up the right temperature and leave it at that. This heater works for small grow tents but it’s also ideal to use in large rooms, especially those that need constant heat. Part of its features is a 24-hour timer that’s designed, so you don’t need to use an additional timer. In addition, DeLonghi EW7507EB can be used without the need of continually refilling the oil. Its antifreeze feature is also incredibly useful for stopping the pipe from freezing. What is the ideal heater to use for a grow room? The kind of heater to use depends on the room size. Additionally, you need to consider how long you’ll be using the heater for. Most growers today pick oil-filled heaters for a room larger than 10×10, but they’re great for smaller rooms as soon as you put them in lower settings. How do you best warm a grow tent? In heating a grow tent, you can either put the heater inside the tent or place it outside, but it depends on the size of the tent. Putting the heater outside is ideal for the grow tents sized smaller than 6×6. After warming the room where the tent was, you can use a fan to circulate the air for more heat. For tents bigger than 10×10, you may be able to use it inside. However, you have to put it some distance away from the plants. How do I heat a room that’s larger than average or if it heat is from a separate building? It’s tricky, but you can use oil-filled heaters placed at different parts of the room to warm your grow space. You can also use baseboard heaters to provide extra heat. If not, you can use actual furnaces or industrial type heaters. The choice depends on the climate of the grow room. The information in this article should help you find the right heart for your grow tent or grow room. There are many options in the market, and they’re often overwhelming. But if you take time to determine what you need and check with the options available, you should be able to find one that suits your needs.